Though SUVs are safer than other vehicle in many ways, they still present certain risks on the road. SUV owners are often some of the happiest drivers on the road. Their vehicles come with a variety of features that make life easier. Still, choosing this kind of car comes with some danger too. Below, we help you mitigate that risk by presenting six useful driving safety tips for those with SUVs. If you’re already a seasoned SUV driver, you can move on to the next step. If not, then it is time to get familiar with your vehicle. The truth is that driving a large car is radically different than operating a smaller one. Getting some practice in an environment with no hazards, like an empty parking lot, will go a long way in keeping you safe when you go out onto the roads. Being higher up results in pedestrians and other drivers being less likely to see you. As a result, staying safe comes down to using your turn signals religiously, giving other cars time to react to your movements, and being totally aware of your surroundings. The bigger a vehicle is, the more pronounced its blind spot. This trend is why SUV drivers must do what they can do avoid lane change accidents. One way to do so is checking your blind spot whenever appropriate. Another is positioning your mirrors correctly so that area is as small as possible. SUVs are safer than smaller cars in almost every single way. One way they aren’t, though, is the likelihood of rollover accidents. The reason is that these types of vehicles have a high center of gravity, which makes them prone to rolling over during sharp turns. You can mitigate this risk by slowing down for all turns, especially when they have a dangerous angle. Physics tells us that when an object is heavier, it has more momentum. What this means for SUV owners is that their cars will take longer to slow down once they apply their brakes. This is why you should start braking long before you need to stop. Failing to do so could lead to you rear-ending someone or skidding into oncoming traffic. As we mentioned above, heavier vehicles come with a variety of complications, the most important being a longer stopping distance. As you can imagine, this effect becomes even more pronounced when SUV owners fill their cars up with other people. 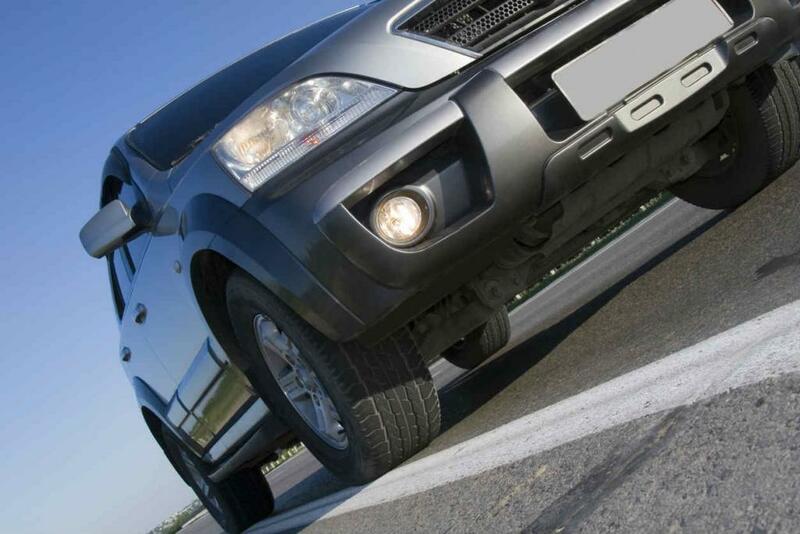 Doing so only adds to the total weight of the vehicle, which demands you to be even more careful. Overall, SUVs are less dangerous than most other vehicles because they are big and can take a significant impact without crumpling. That doesn’t mean they are safer in every way though, as they also come with some risks. What you can do to keep yourself and your loved ones healthy is adhere to the safety tips on this list. If you do end up in an accident caused by another drivers negligence, it is important to speak with an experienced St. Louis car accident attorney about your legal options moving forward. Give us a call 24/7 at (314) 361-4242.